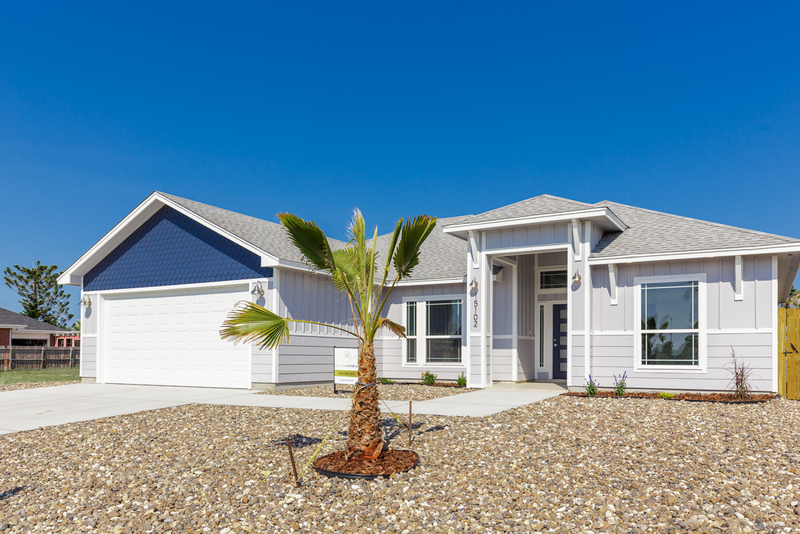 Home Specs: 3 Bed / 2 Bath / 2 Car-Garage / 1,799 Sq. 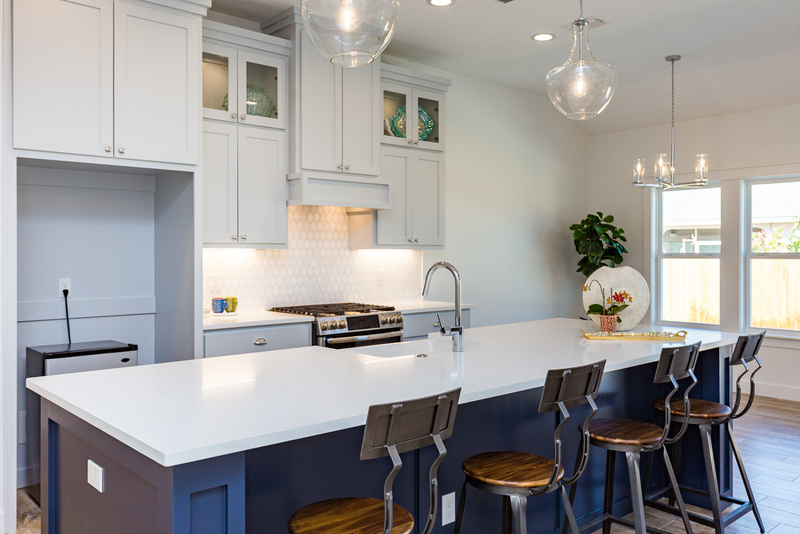 Ft.
During a Parade of Homes competition, award winners are chosen by pre-selected judges, usually in the industry and from outside the market, who have plenty of experience to make sound decisions. 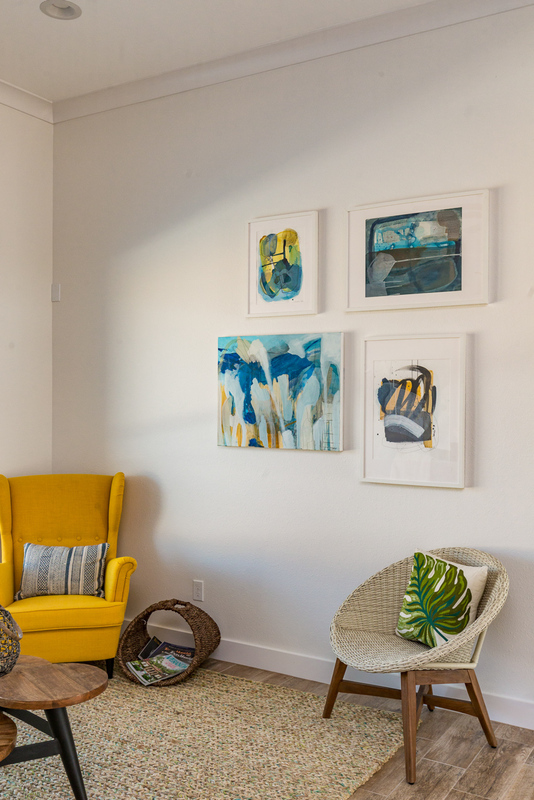 These judges visit all of the Parade entries and award points to each home, and this ultimately determines the winners in different categories, for example, “Best Floorplan,” “Best Master Bath,” “Best Exterior,” etc. 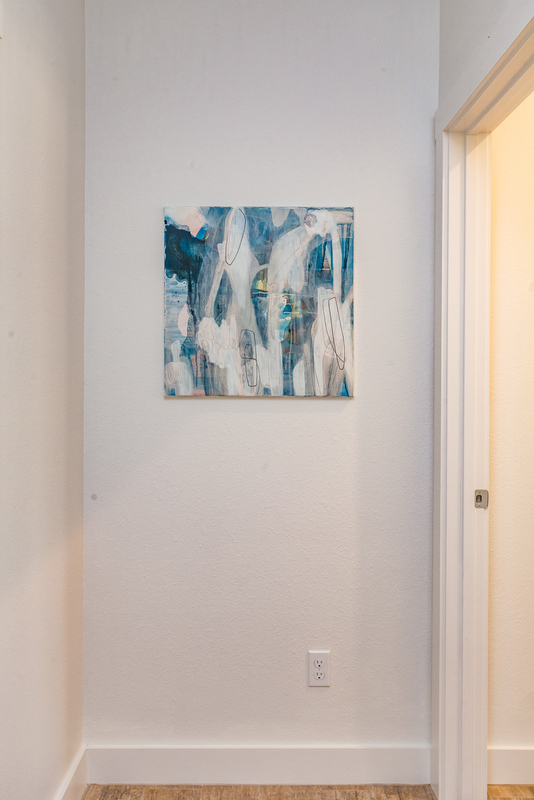 There is one award, however, that the judges have no say over: “The People’s Choice Award.” Visitors to the homes in the Parade determine the winner of this award. Simply put, the home that is loved by most people, and voted for, is the winner. 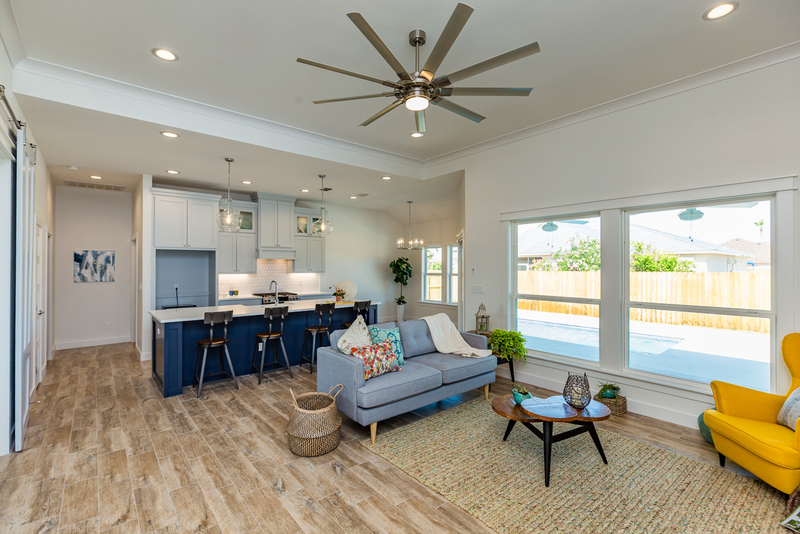 Competing along with 26 other homes in the Parade of Homes event this year, the home that got the “people’s lovin’” was Levian Homes’ lovely 3 bedroom, 2 bath model at 15102 Aquarius Street in Corpus Christi. One look and we can see why it is special. 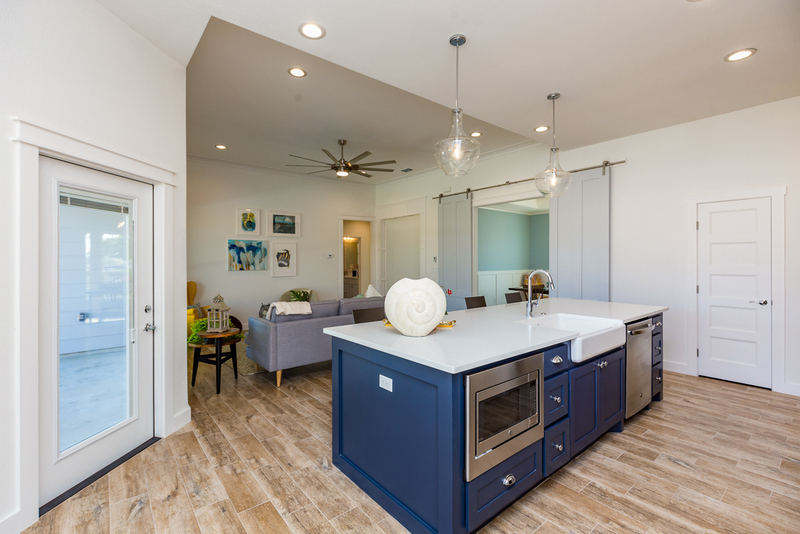 The exterior of the 1799 square foot single story home is a contemporary coastal cottage design in shades of deep ocean blue, soft gray, and crisp white. 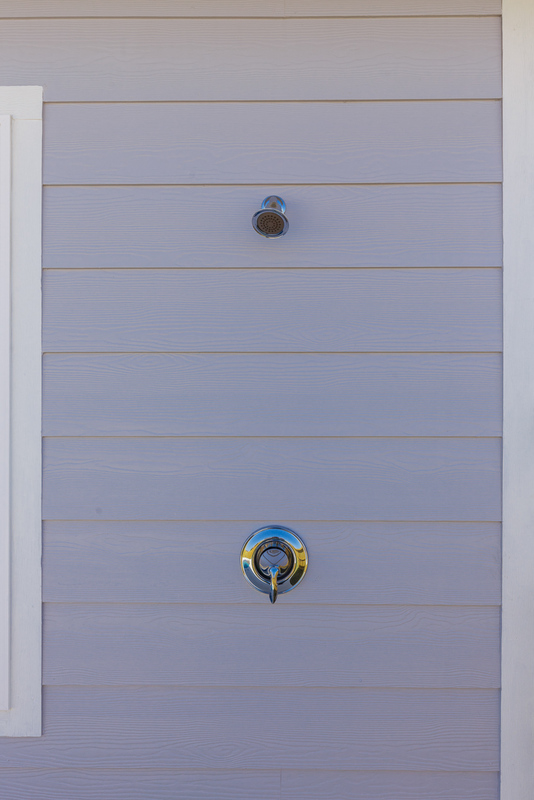 At the front of the home, the intersection of clean horizontal and vertical shiplap lines in the cladding adds visual interest. 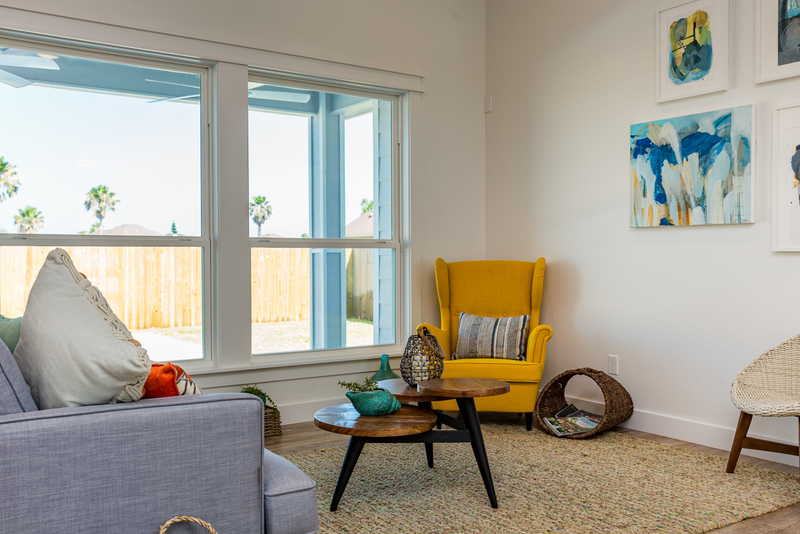 Correspondingly, large front windows mirror these modern lines. 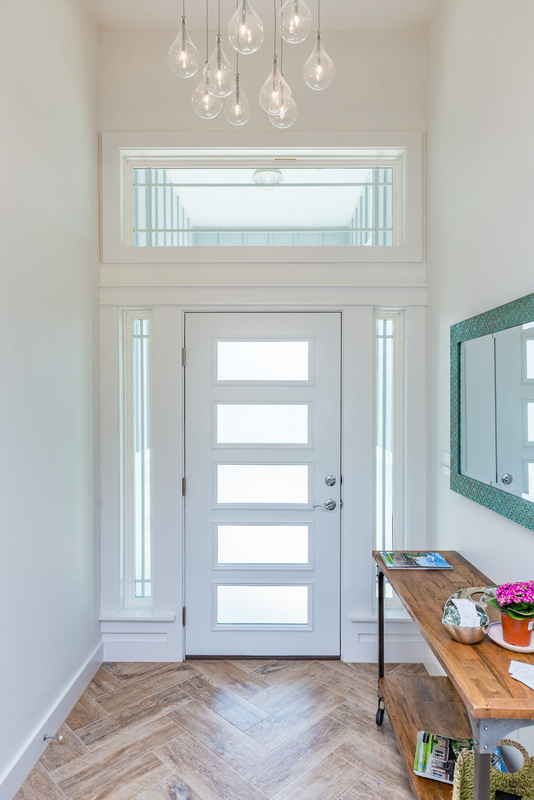 The welcoming raised covered portico leads to a handsome glass and wood front door with a transom window above. 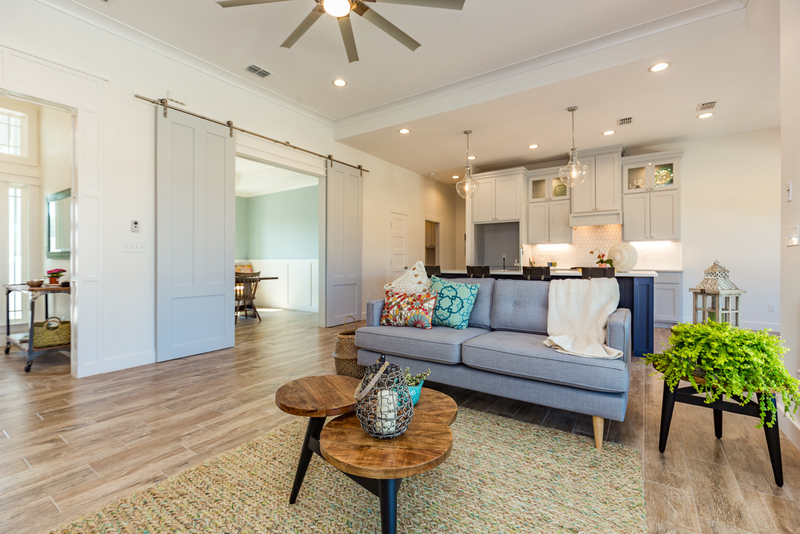 Stepping into the home, visitors are visually greeted by a bright open foyer that looks over to a cheery open floorplan living, dining, and kitchen area. 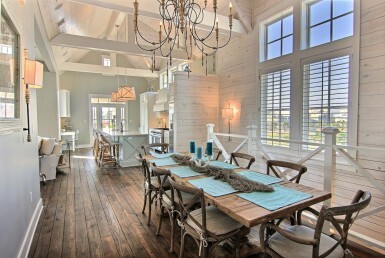 Of note is the gorgeous designer lighting fixture above: delicate crystal clear balls cascading from the foyer’s ceiling. 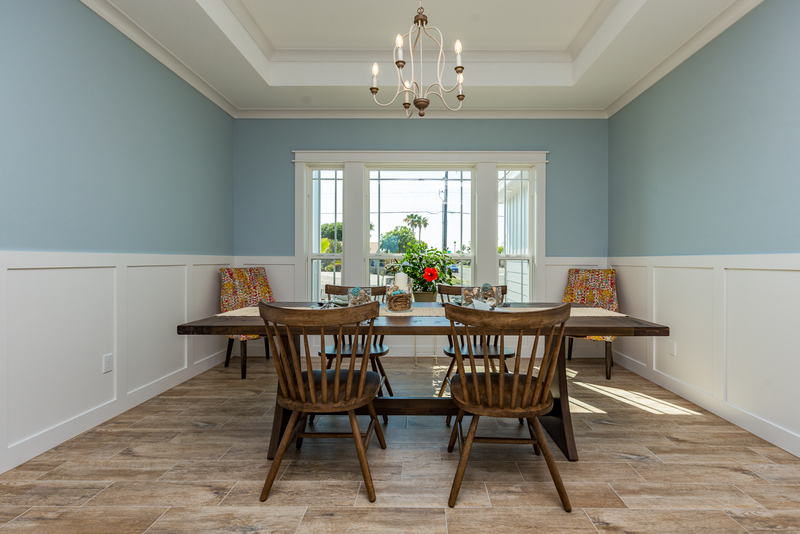 The floors are all done in a light wood-plank look ceramic tile for a homey cottage feel. 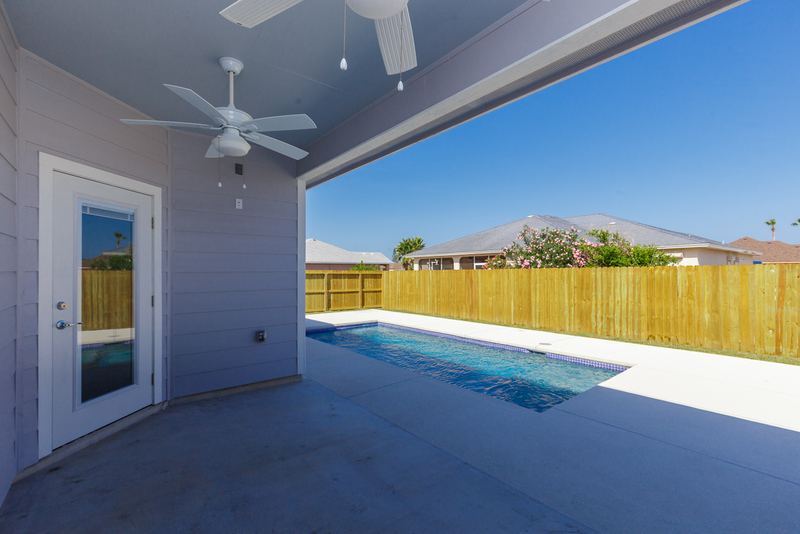 A wall of windows straight ahead lets bright light in, and there is a lovely view of a covered patio and backyard pool that incorporates a wonderful shallow tanning area. 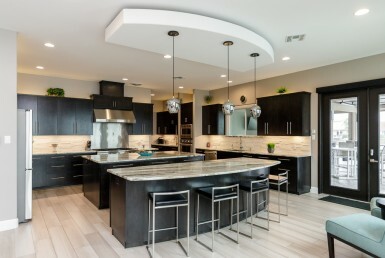 Past the foyer and into the heart of the home, the open floorplan combination living area and kitchen are a unified whole. 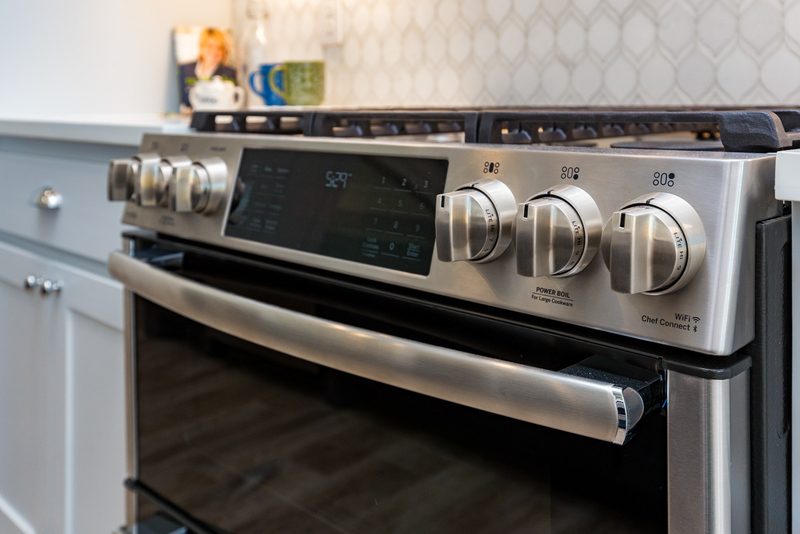 And the kitchen! 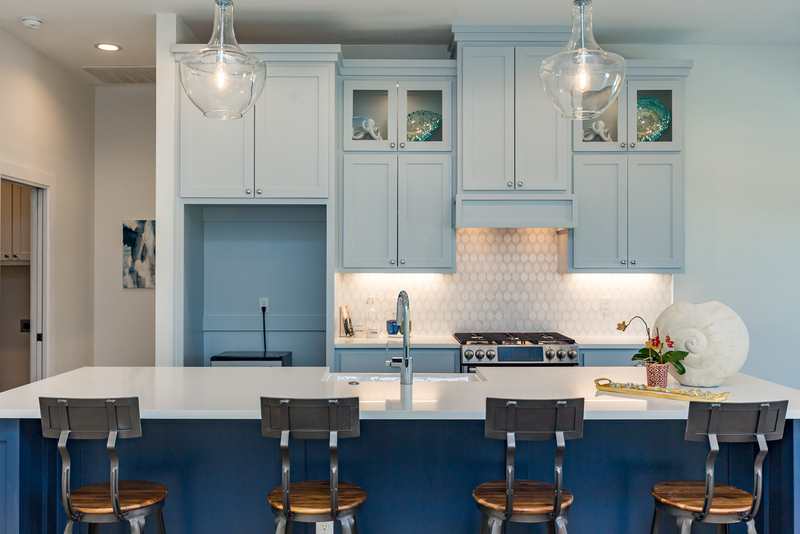 A stunner in colors of deep ocean blues, gentle cloud grays, and sparkling whites. 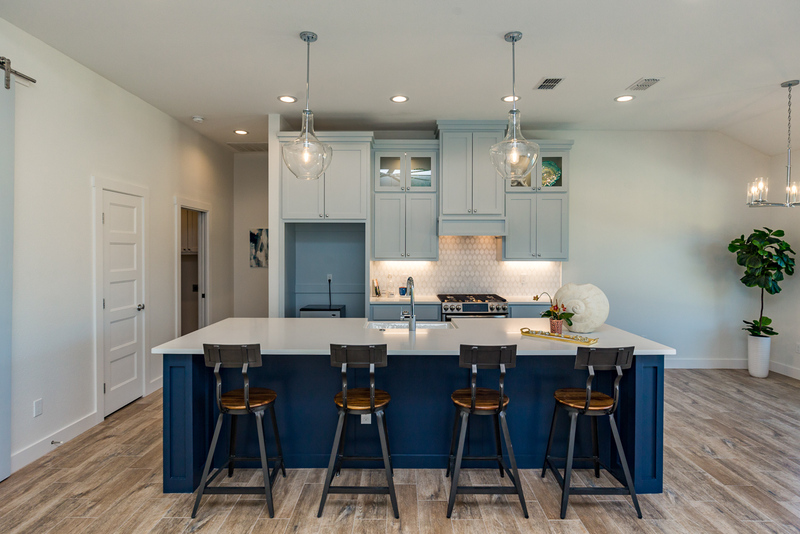 So stunning, in fact, that this Levian Home’s kitchen construction and design acquired the award of “Best Kitchen in an Under 1800 Square Foot Home Division” from the judges of the Parade! 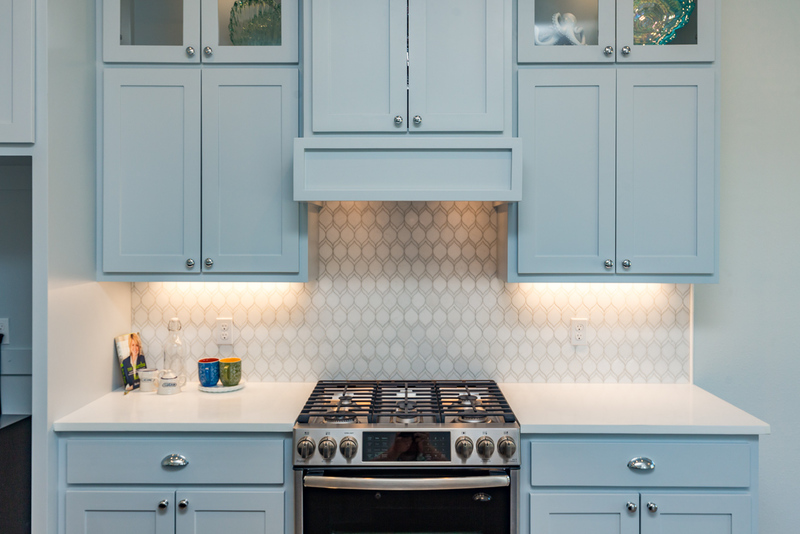 It contains a large eat-on quartz countertop island with a deep glistening white farmhouse sink; a chef’s delight gas stove, and tall illuminated soft gray double stack cabinets. 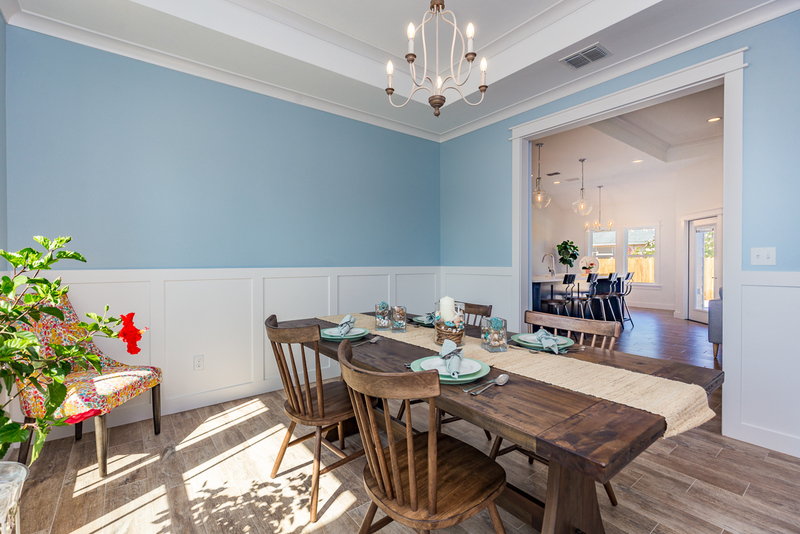 Attached is a breakfast area with large windows overlooking the fenced backyard, and a door for easy entrance and exit to a covered patio and the attractive pool. 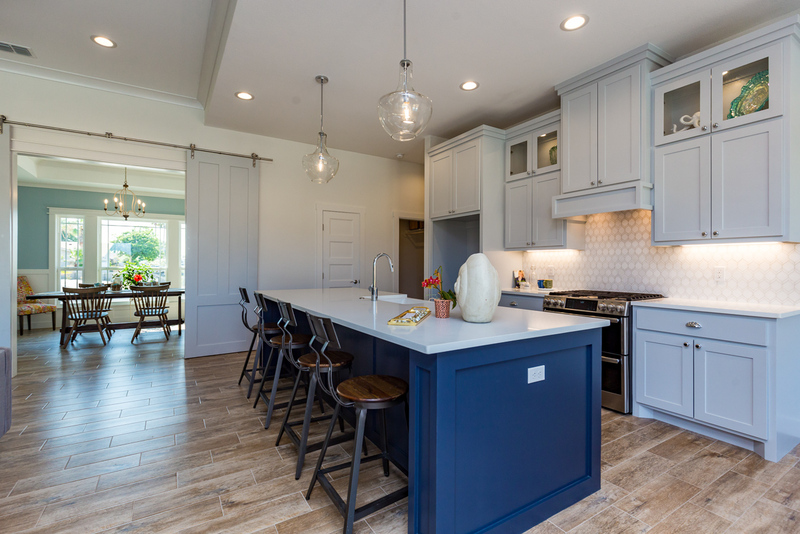 Levian Homes didn’t stop with the excellent design of an open floorplan living/kitchen area…with an award-winning kitchen. 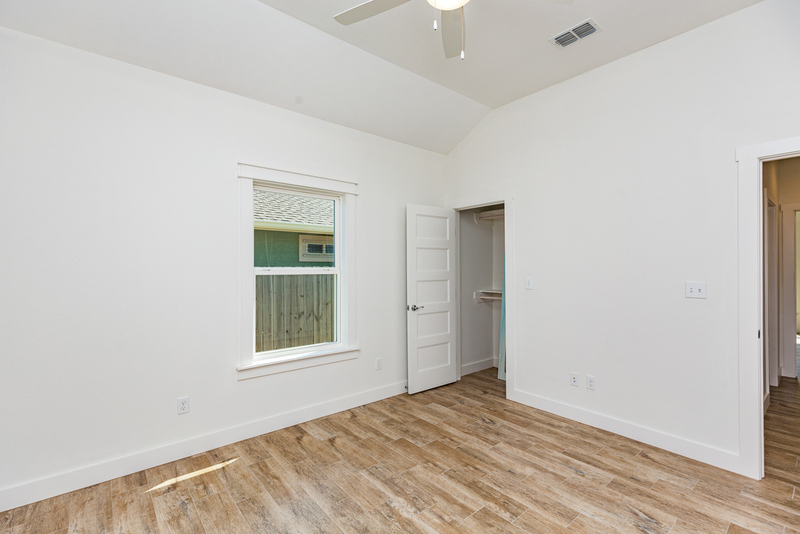 They added a fabulous front room next to the kitchen, separated by a stylish, dove gray sliding barn door, that could be totally multi-purpose—formal dining, office, library, study, extra bedroom for out-of-town guests…you name it! 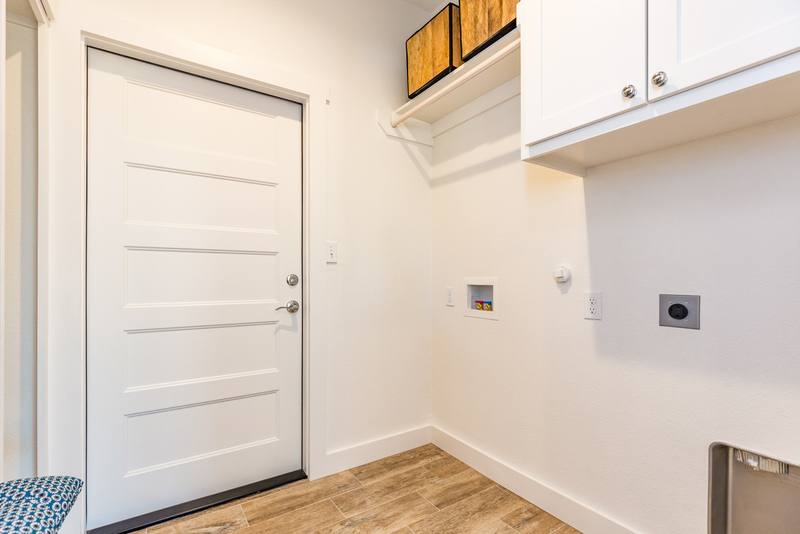 Also added directly off the two-car garage at the front of the home: a much needed mudroom and laundry room with built-ins, perfect for coming in from the beach with wet bathing suits and sand-filled shoes. 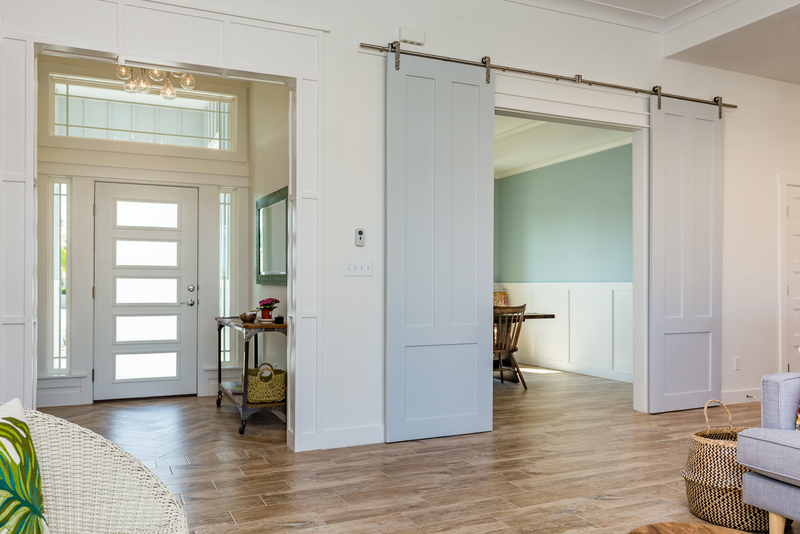 Out of the car, into the mudroom, drop those dirty clothes and sandy flip-flops, and then let’s walk into the kitchen to eat! 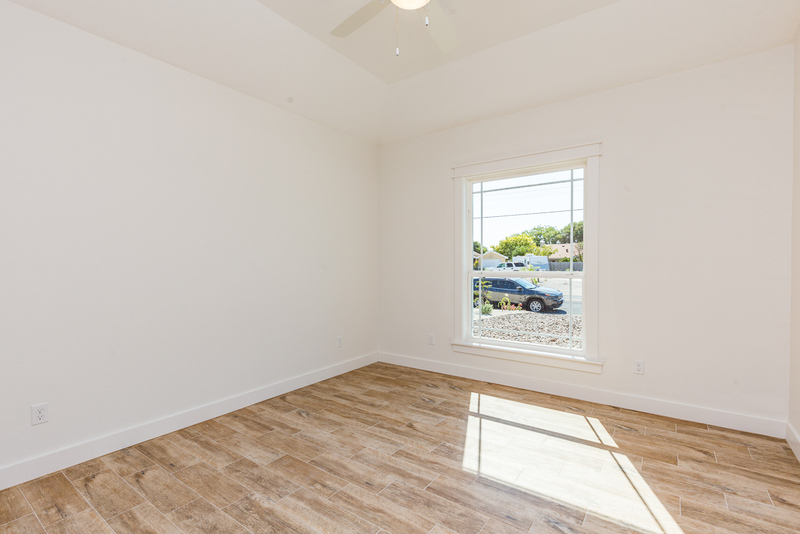 So—an open floorplan living that is most desirable to contemporary homebuyers, check! 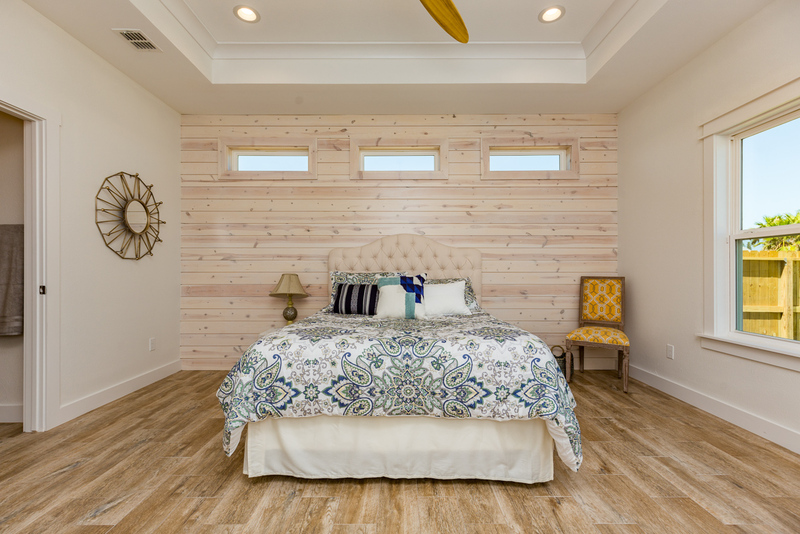 But how about the next desirable interior home plan: a split bedroom design, where the kids or guests are on one side of the home, and the Master bedroom is on the other for that quiet alone time we all want. 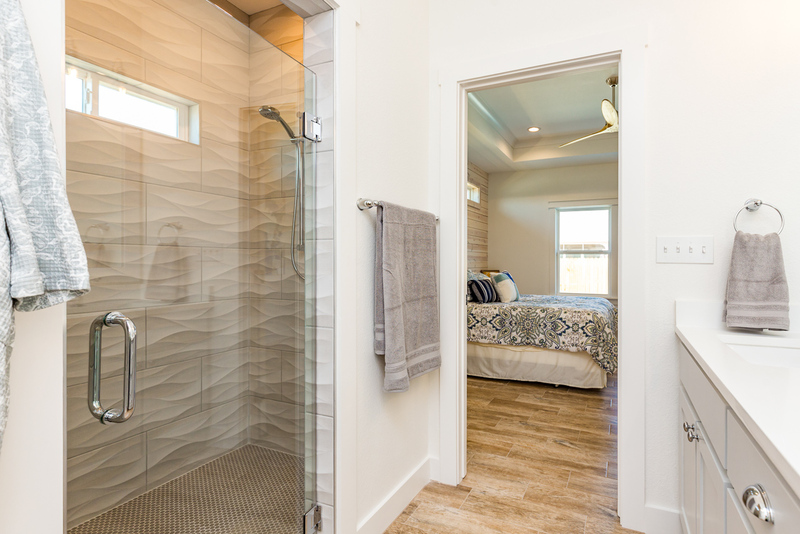 Well, this “People’s Choice” home designed by Levian Homes has it! 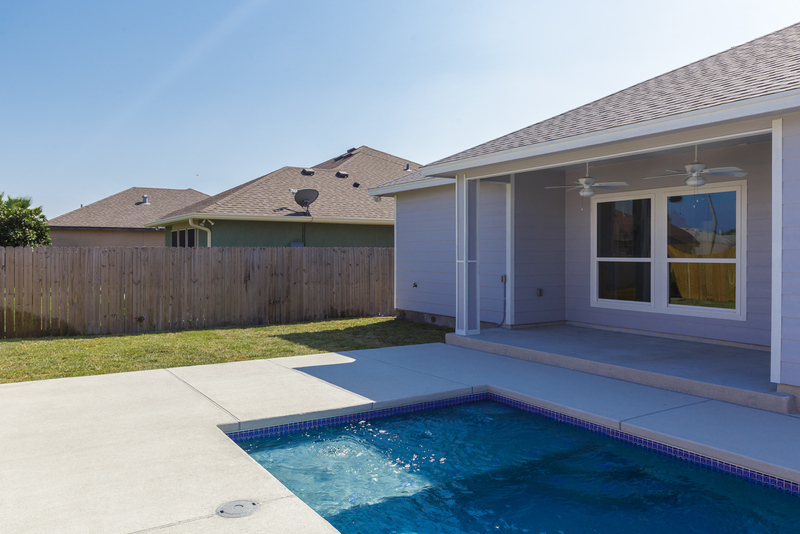 On the right side of the home, past the living area, are two attractive bedrooms and a full bath. 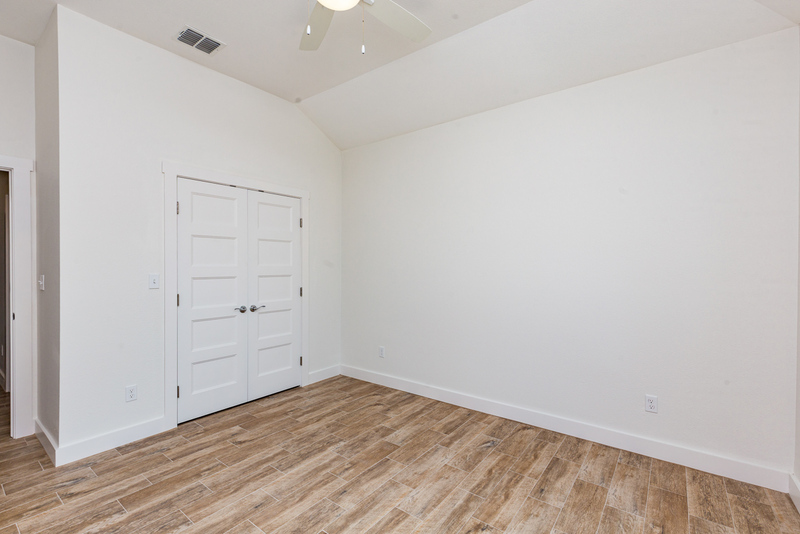 The bedrooms each have large windows, stylish tray ceilings, and walk-in closets. 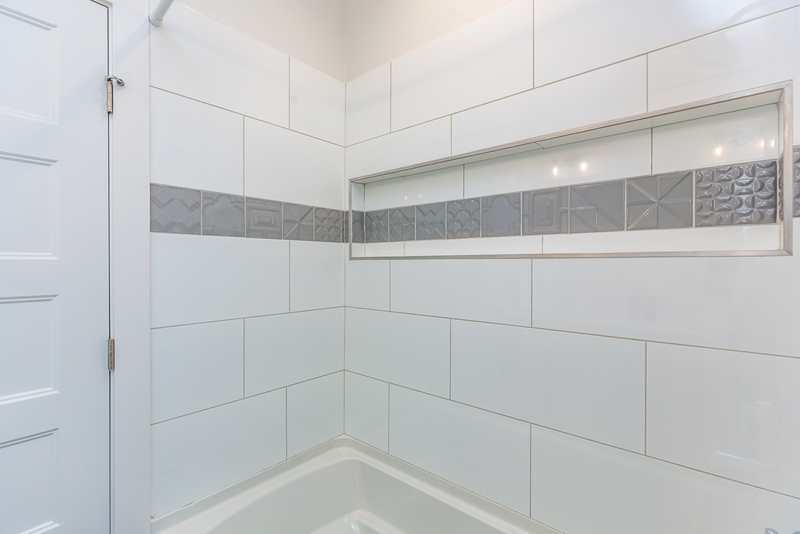 The bathroom in between has separate sinks, excellent cupboard space, and a shower/tub combination with a striking designer tile surround. 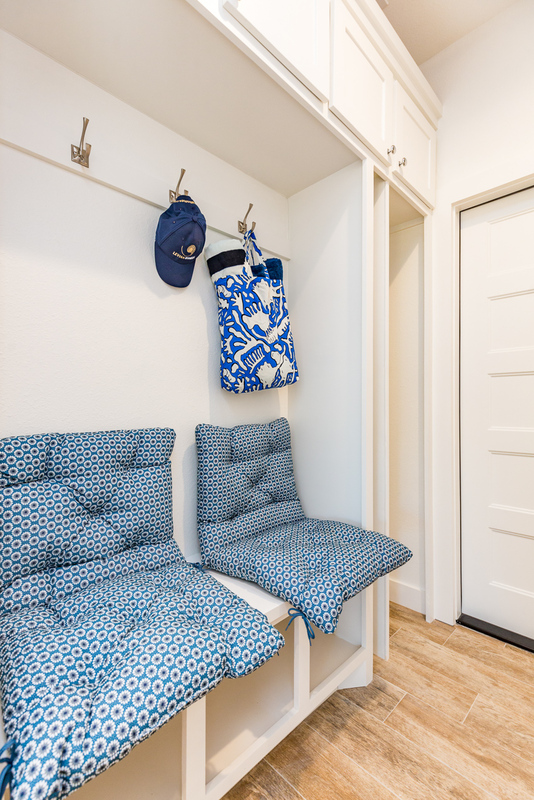 The area is great for kids or guests…a suite of rooms they can call their own. 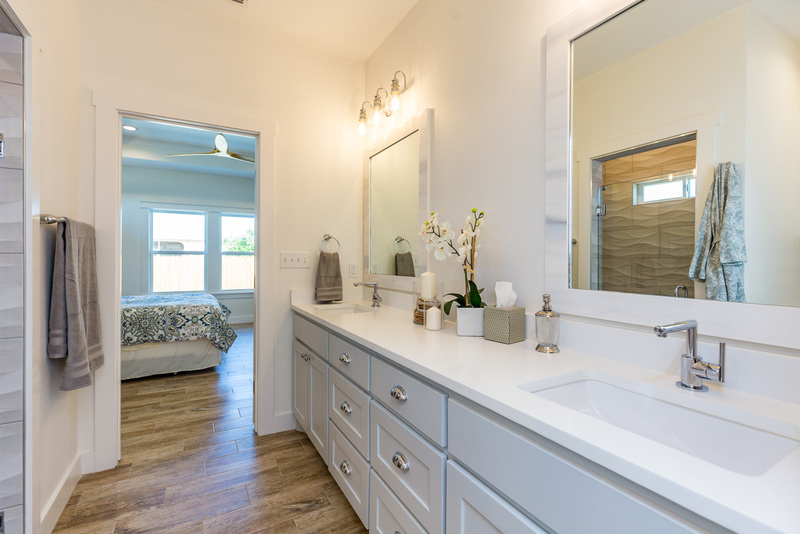 The Master bedroom and bath are on the left side of this delightful home, and offer an area of serenity, beauty, and privacy. 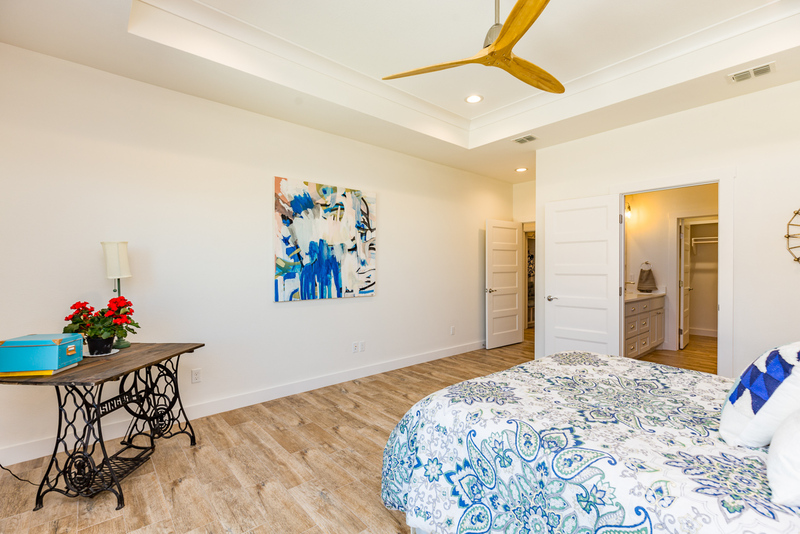 The master bedroom is all that we could ask for, and the design shines. 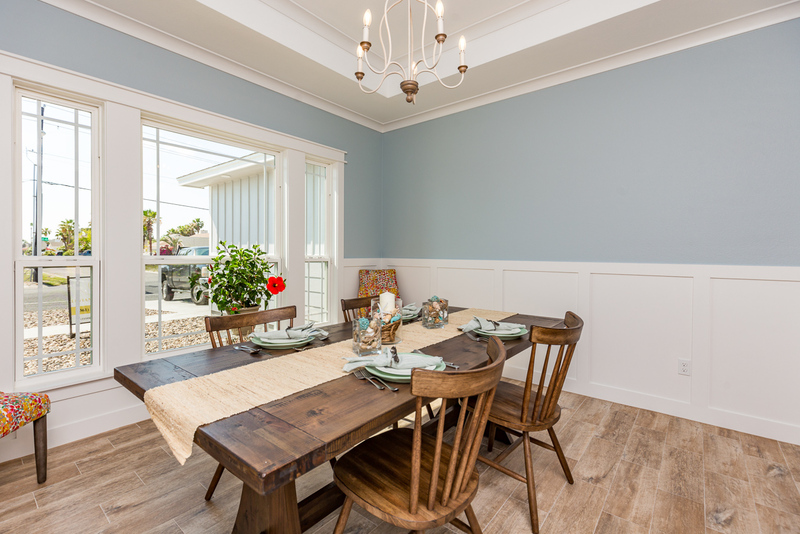 First, there is a tall tray ceiling with recessed lighting and a generous ceiling fan, a large window overlooking the backyard that lets the sunlight in, and wood-look flooring to correlate with that coastal cottage feel. 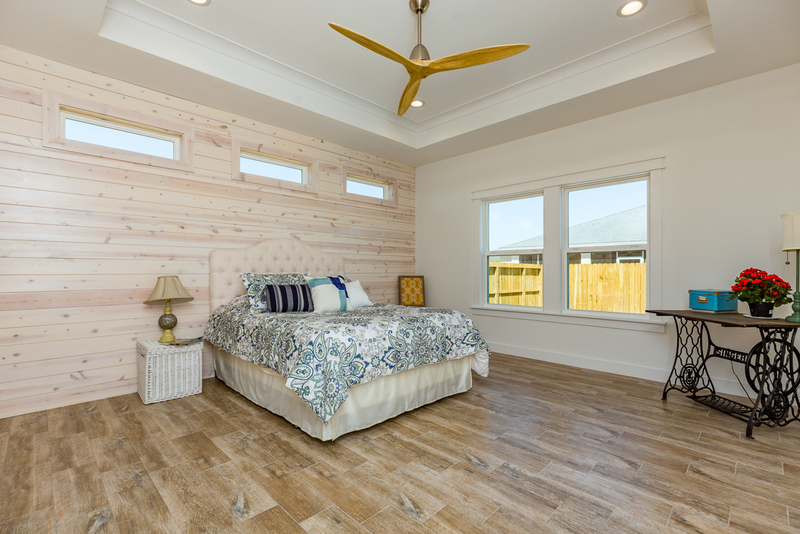 Levian Homes added more, however, with a stunning wall of whitewash finished wood shiplap and clerestory windows on one side—a perfect designer accent. 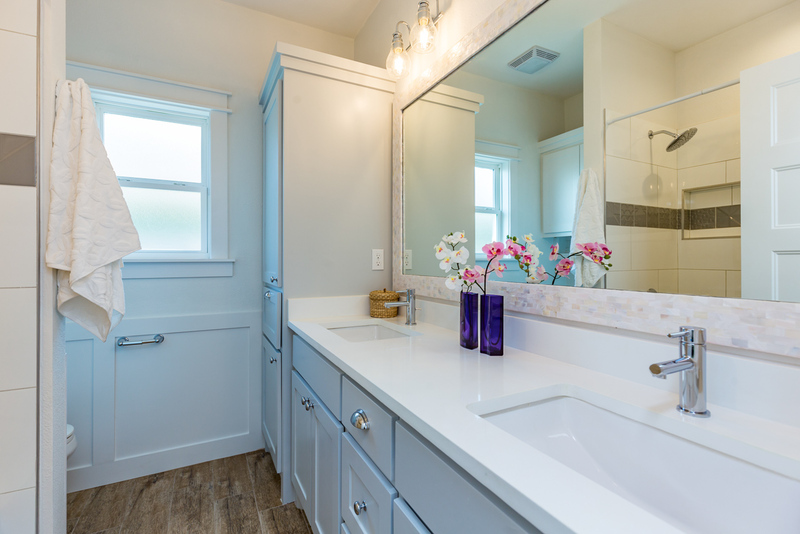 The Master bath is spa-like, a tranquil dream done in delicate cloud gray, soft taupe, and white. 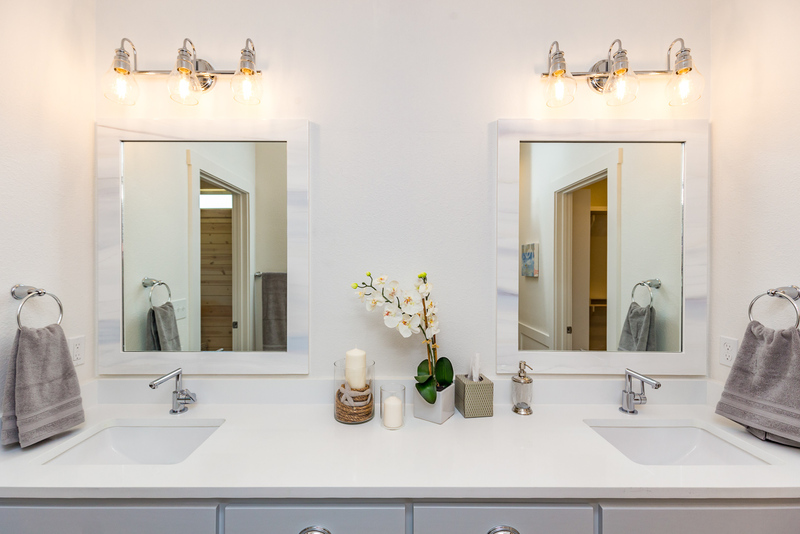 There are double sinks within a clean white quartz countertop and plentiful cupboards and drawers below; the separate framed mirrors above are unique and exclusive to the home—hand-painted by a local artist in subtle tones of gray and white. 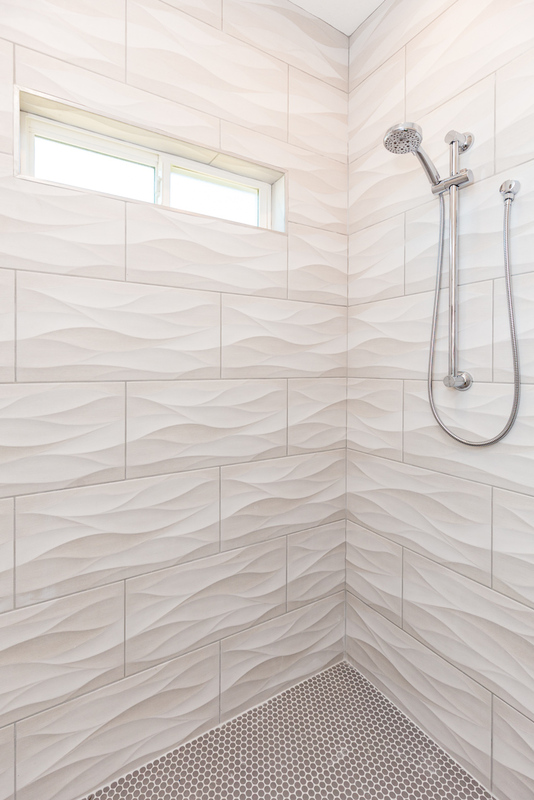 The shower area is large with custom-designed and eye-catching wavy designer tile, a rainfall showerhead, and a clerestory window for natural light. 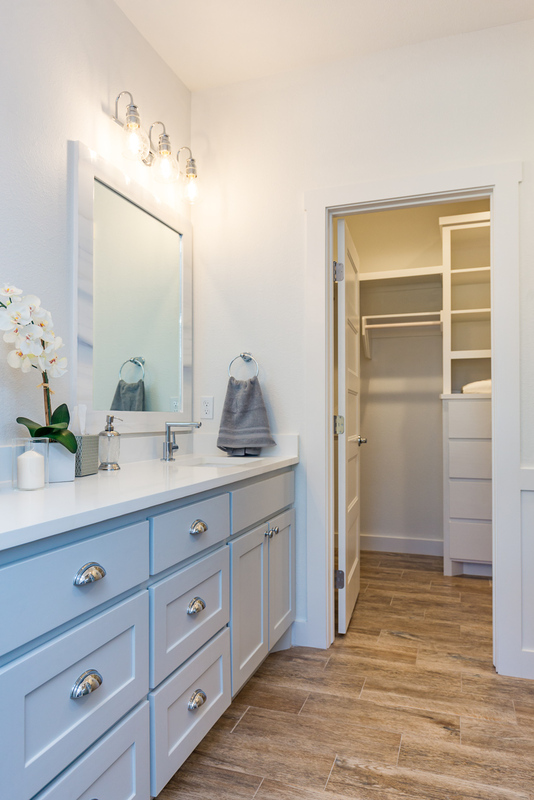 And right off the Master bath is a spacious walk-in closet with sparkling white built-ins. 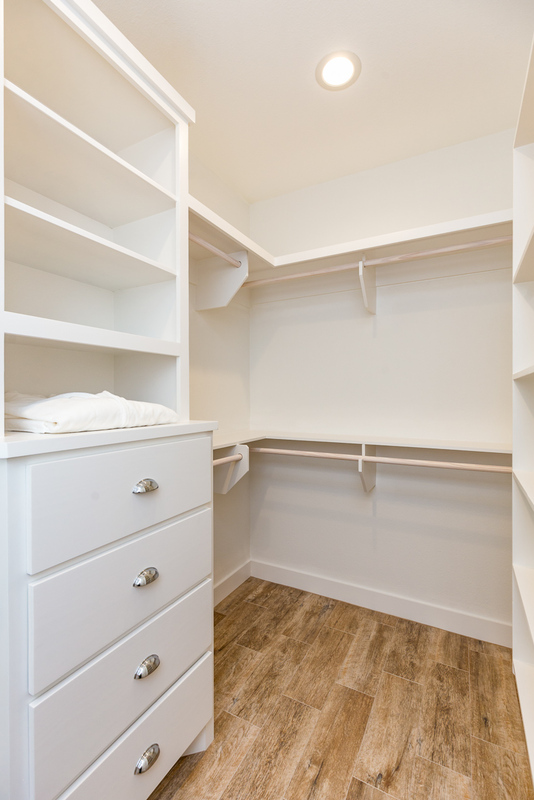 No need to fight for closet space! 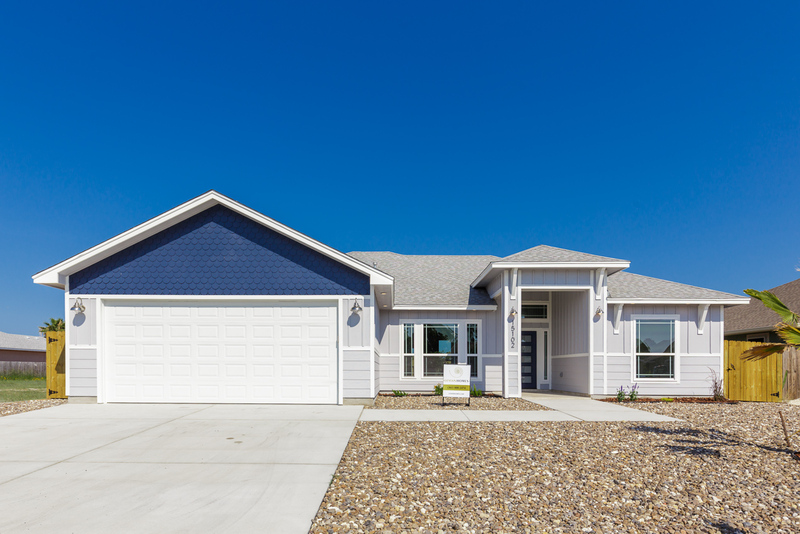 This Parade of Homes entry by Levian Homes is a custom-designed delight, both inside and out, and we can see why visitors chose it to be the winner of the People’s Choice award. 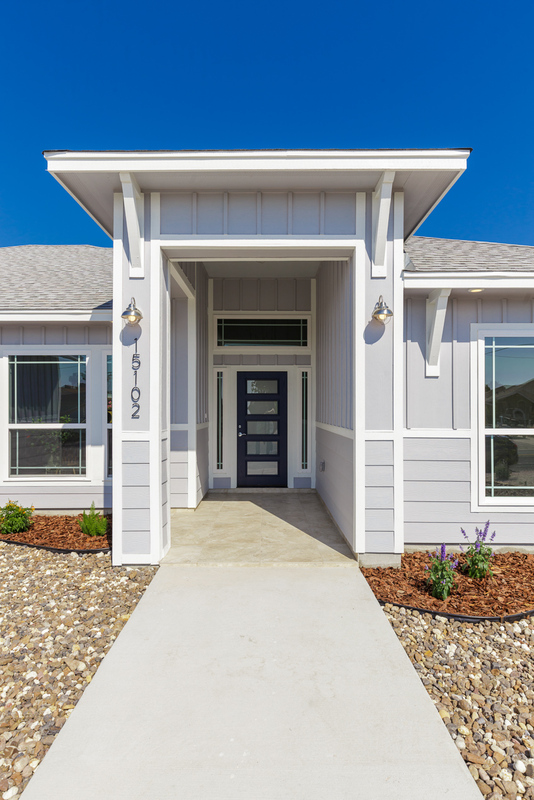 From a much-desired floorplan to all of its designer touches, the home has it all. 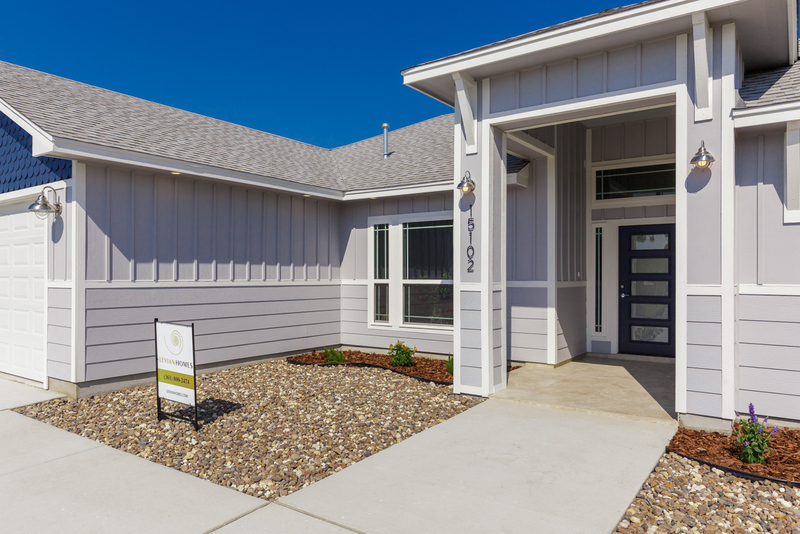 Why was this home so popular with visitors at the Parade of Homes? 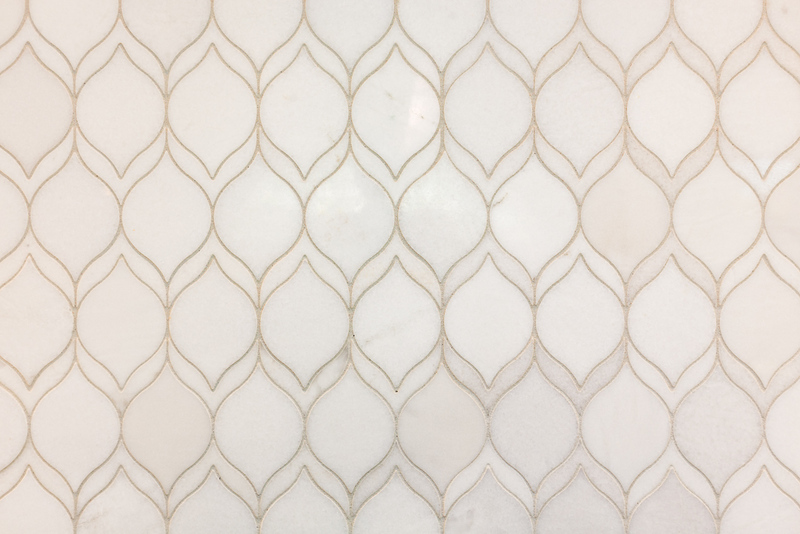 Maybe because of the founder of Levian Homes, Victor H. Ibarra. 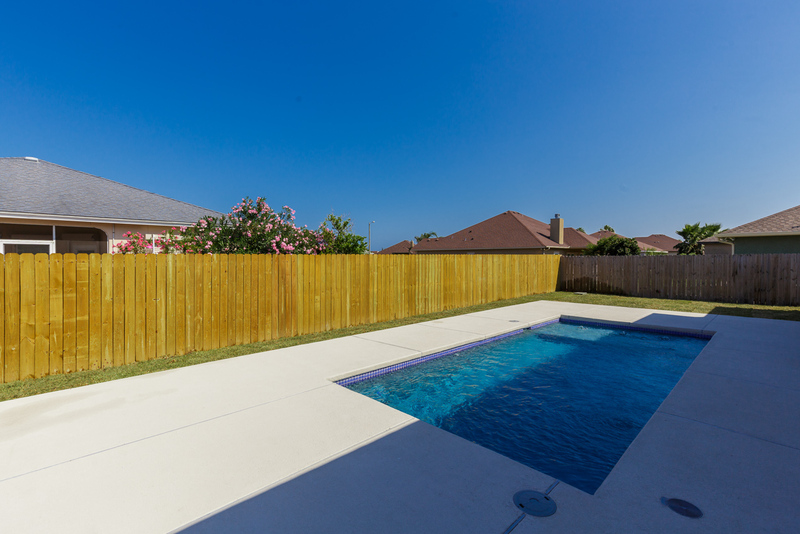 He is a dedicated and hands-on builder who supervises every phase of construction at all of his new homes to ensure that work is performed exactly to his quality specifications. 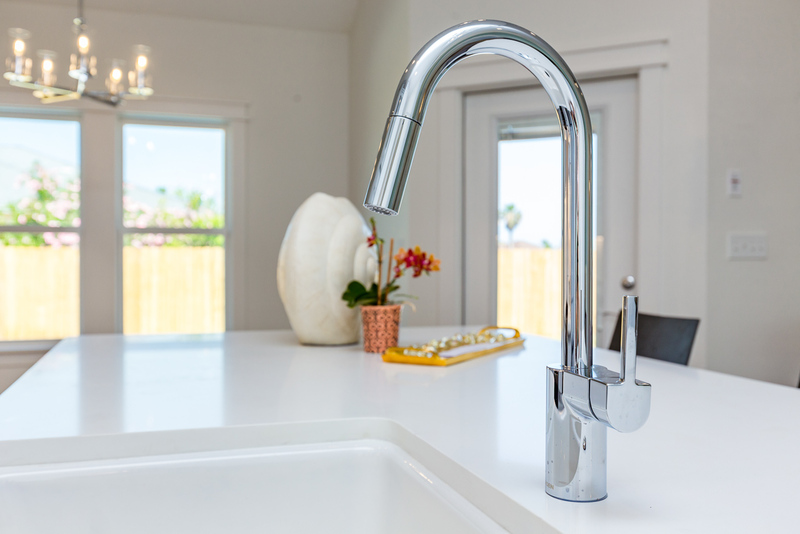 He is passionate about his work, and believes in following all the popular modern trends and designs, and then incorporating them with not only extreme functionality, but also with special details both small and large that make an ordinary home extraordinary. 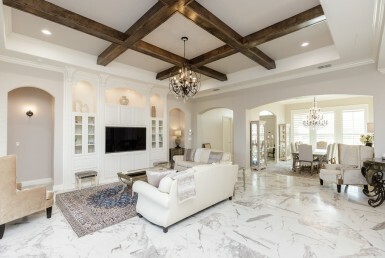 Every home that Levian Homes builds is unique, and everything from lighting to color schemes is thoughtfully chosen. 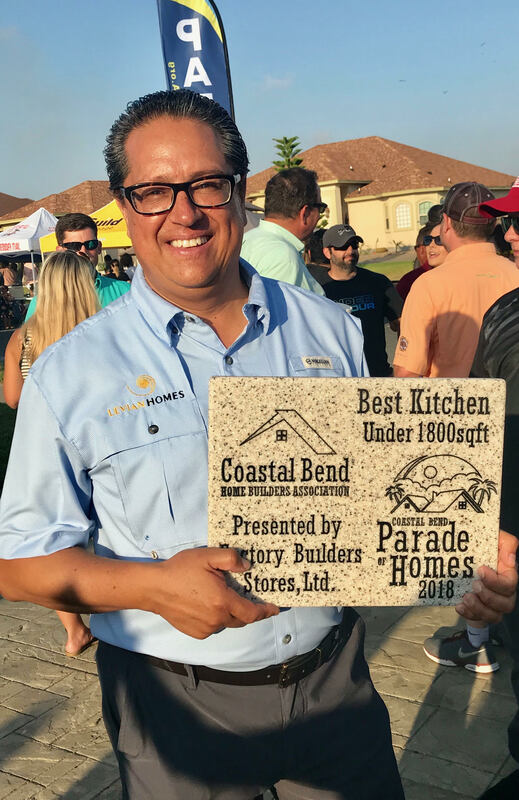 This 2018 Coastal Bend Parade of Homes’ “People’s Choice” award winner on Aquarius Street in Corpus Christi is no longer available for purchase, but for anyone interested in buying or building a new home in the Coastal Bend area, Victor Ibarra and his team at Levian Homes are ready to help create another unique, quality-built home. 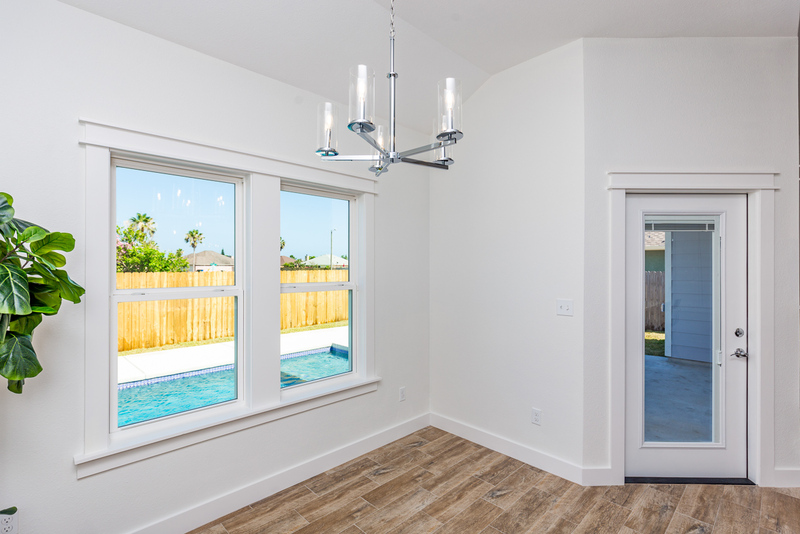 All it takes is a call: (210) 442-9143, an email: contact@levianhomes.com or heading over to their website and facebook. 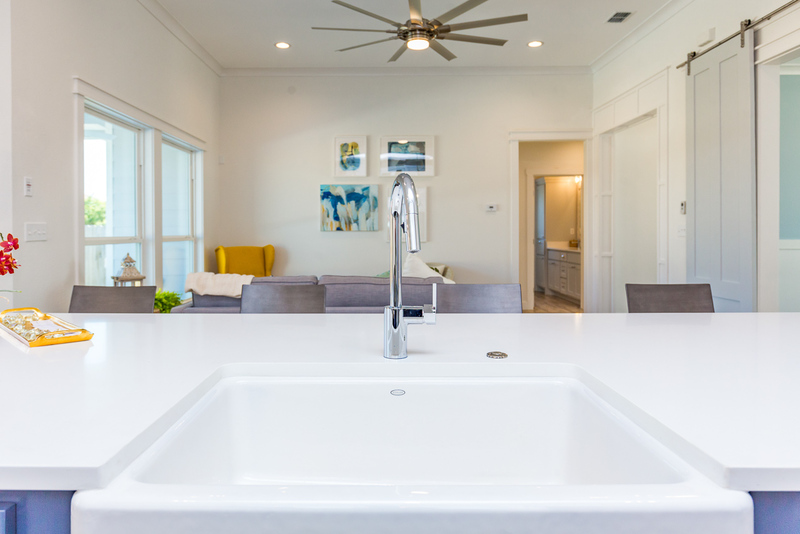 © 2018 Coastal Bend New Homes Guide & Across Media Marketing, LLC. Unauthorized use and/or duplication of this material without express and written permission from this site’s author and/or owner is strictly prohibited. 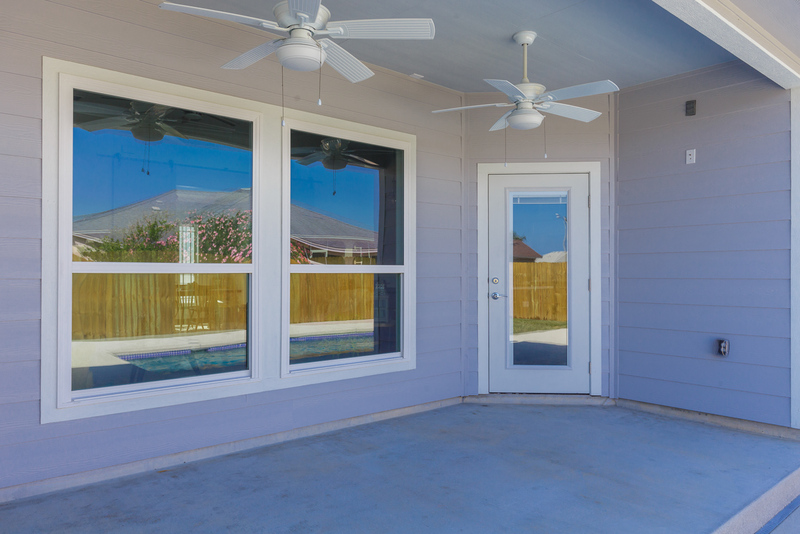 Excerpts and links may be used, provided that full and clear credit is given to Coastal Bend New Homes Guide with appropriate and specific direction to the original content.